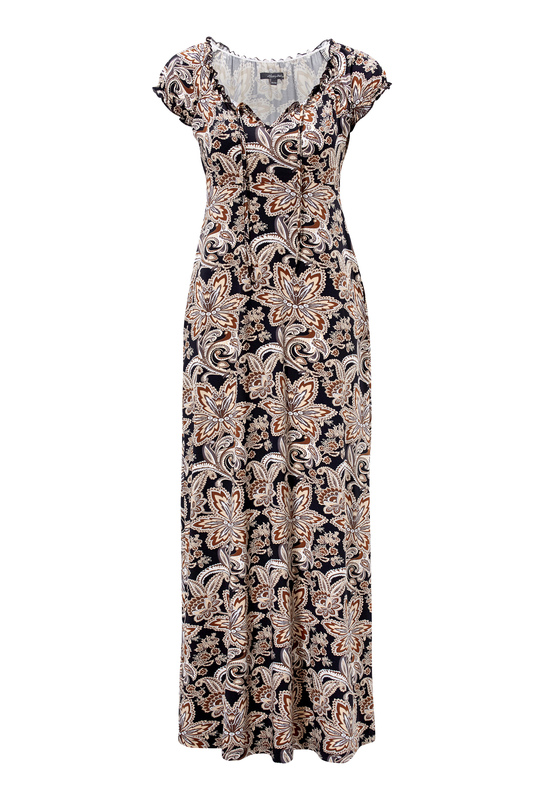 Lovely maxi dress made of crease-free tricot from Happy Holly. 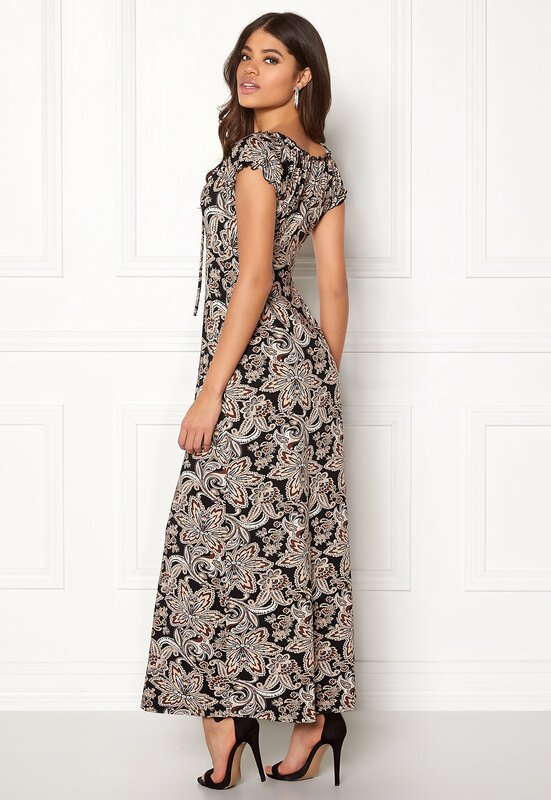 The dress has a beautiful pattern and ties at the front. Back length from shoulder Short 115 cm, Long 125 cm, bust 94 cm, in size 36/38.